A large number of SLFP MPs are on the fence over the UNP mooted VAT bill which is scheduled to be presented in Parliament next week. 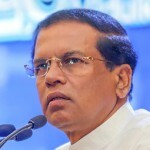 According to sources, even though the current government is a coalition between UNP and SLFP, there are several SLFP MPs who are not supportive of Prime Minister Ranil Wickremesinghe’s decision to increase VAT from 11 percent to 15 percent. Meanwhile, Minister of State Finance Lakshman Yapa Abeywardena told a news conference on Friday that the SLFP was yet to reach a decision over the controversial tax bill. The Value Added Tax (Amendment) Bill will be presented in Parliament on August 11, and if it is passed, the public will be compelled to pay an additional 4 percent VAT from the current 11 percent. The government in May increased VAT from 11 percent to 15 percent, however following a petition by Opposition MP Wimal Weerawansa; the Supreme Court issued an interim order suspending the tax increase mid last month. In the event Parliament passes the VAT bill, it will become a legislation and the Supreme Court order will have no bearing, which will result in the public having to pay the increased VAT.